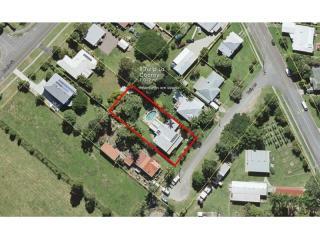 Imagine being able to leave the car at home and walk to town or walk the kids to school. 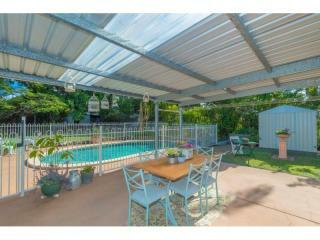 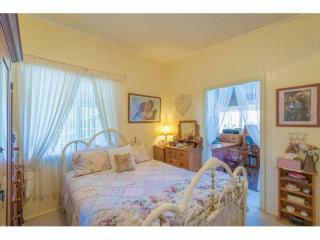 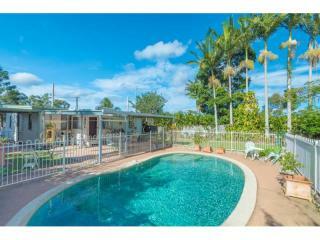 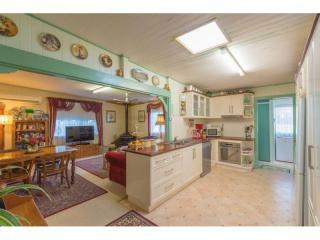 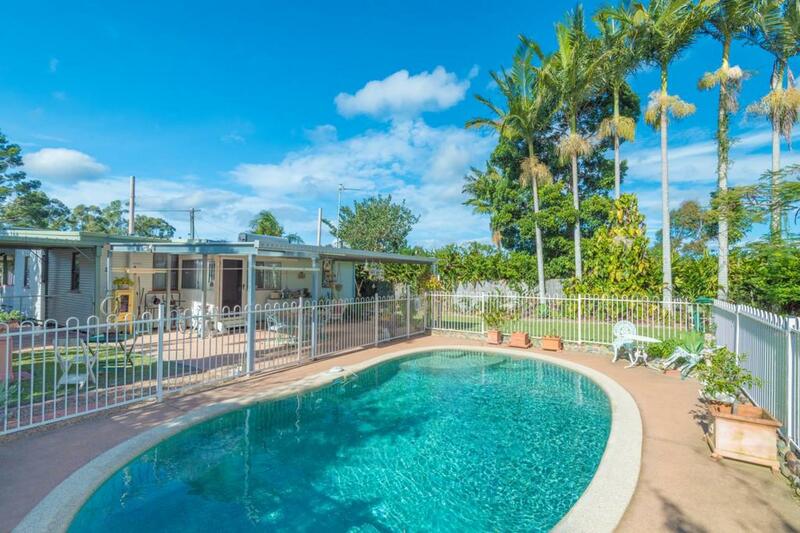 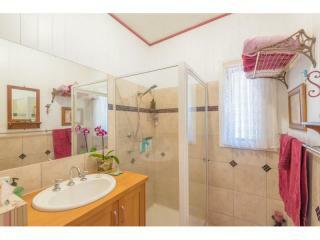 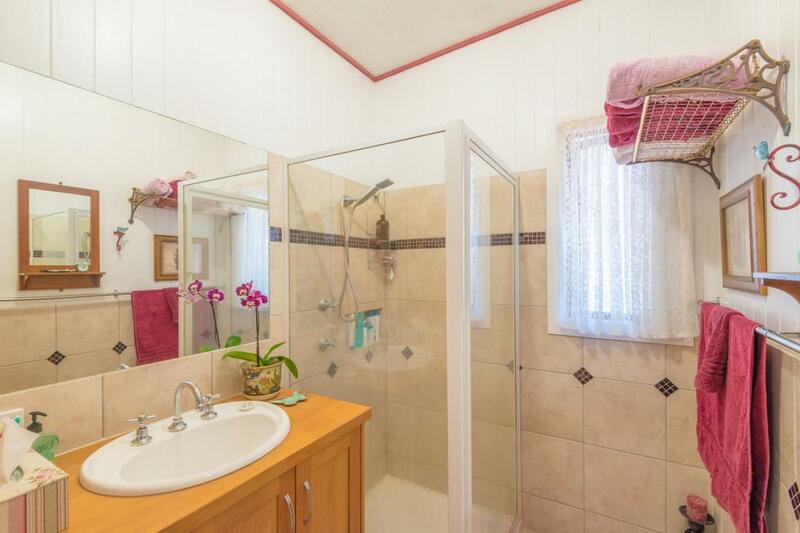 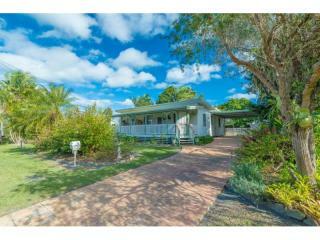 This home at 8 tulip lane, Cooroy offers just that. 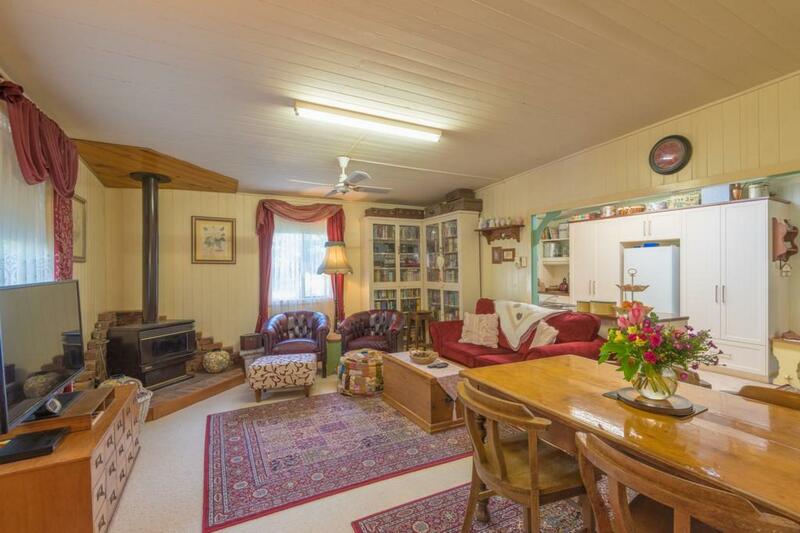 Sited on a big 1,012m2 block, this charming timber cottage style home, circa 1940-1950's, has so much appeal with VJ timber walls and ceilings that are just the start. 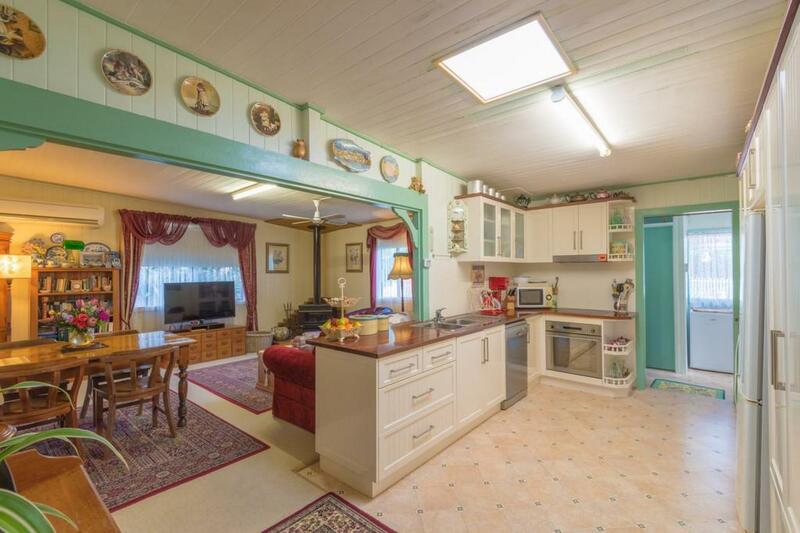 Beautiful hardwood timber kitchen bench with blanco ceramic cooktop and dishwasher feature in the kitchen that is at the heart of the home. 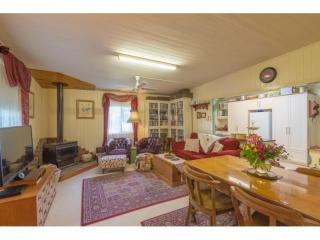 The cosy lounge room has a wood combustion fireplace and reverse cycle air conditioner. 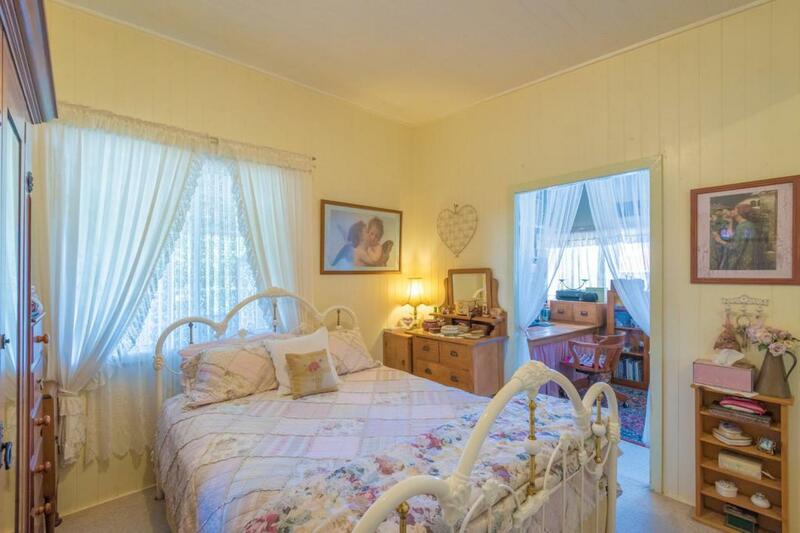 All 3 bedrooms have built in robes (not traditionally found in homes of this era) plus there's another room off the main bedroom that could easily be converted to an ensuite or used as a study/home office. 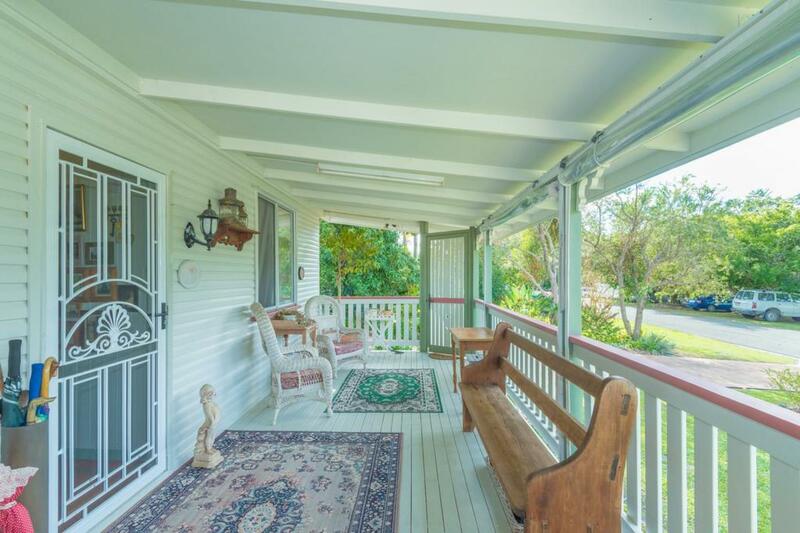 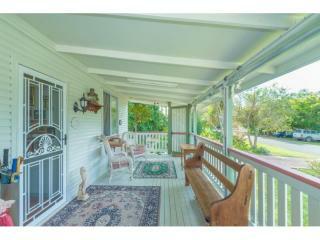 The full length front verandah with clear cafe style blinds makes this an extra lounging area to relax and enjoy. 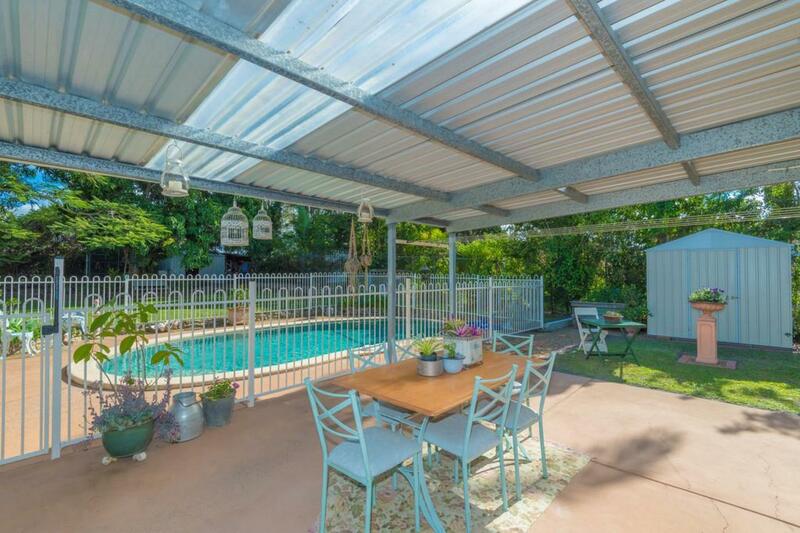 Out the back is a large undercover area, perfect for entertaining family and friends, and overlooks the sparkling in ground pool. 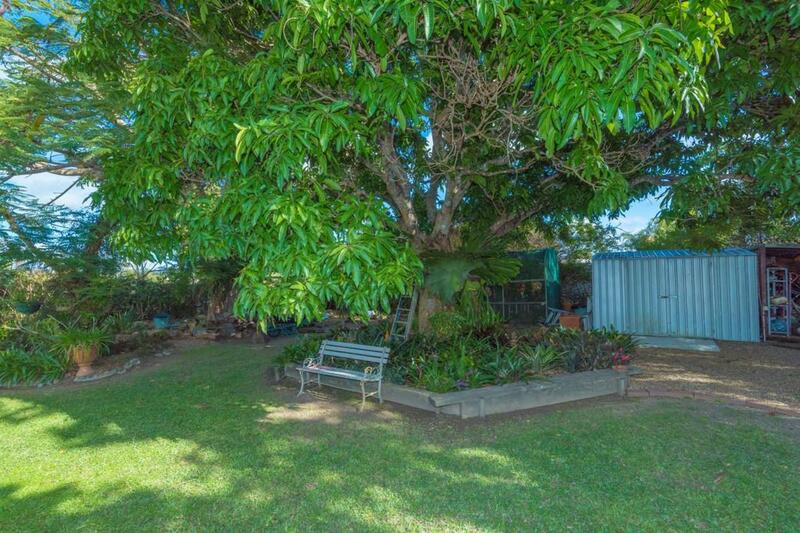 Plenty of room to run and play in the secure backyard, with easy care gardens and lawn and a large Poinciana tree at the rear to provide a lovely canopy from the warm summer sun. 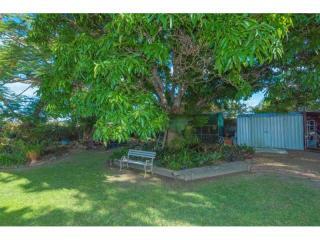 There's also side access for those who would like to put in a shed. 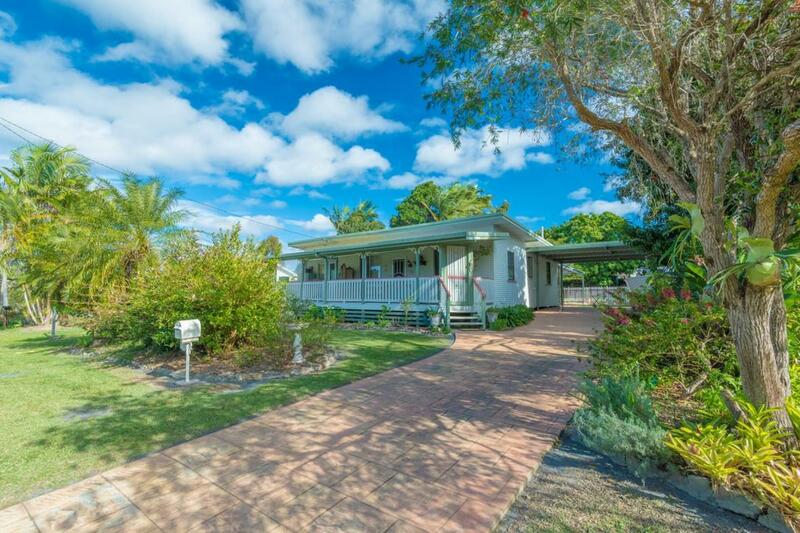 Boasting 1.5kW solar panels to help offset electricity costs, this property is a gem of a find, located in the thriving noosa hinterland town of Cooroy.